The high school where I work for is in the process of going 1:1 and while some of the teachers are very excited about the change, some of them are trepidatious and are worried about the technology taking over their classrooms. My mantra is always, “It isn’t about the tech, it is about the teaching and learning.” I also want them to understand that just because we have the tech, it doesn’t mean that students need to be on their devices all day. Here are the suggestions I am sharing with them about small changes that will elicit the biggest impact. If you would like your own copy of this document, click here! Recently, I read the article “Best Read Alouds on YouTube” from the website We are Teachers. This article is full of great YouTube channels where favorite picture books are read aloud by a variety of personalities. The read-aloud portion of my day was always one of my favorites. Whether as a classroom teacher or as a media specialist, I relished the opportunity to share my reader’s voice with my students. I tried to bring the story alive and I felt an inner sense of pride when the kids would listen to the story with rapt attention. But there is always a moment in my teaching life that has stood out. One year, I was teaching language arts to a really rowdy group of 8th graders, most of whom were reading significantly below grade level. We were doing a unit on poetry, slugging through the classics, when a student asked if he could read his favorite poem aloud to the class. I was so excited that he had a favorite poem that I immediately agreed and listened in awe as he presented us with an amazing version of My Beard by Shel Silverstein. This performance kicked off a really cool string of days where the kids searched out their favorite poems, practiced reading them aloud and then performed them for the rest of the class. Student engagement was high, but most of all, students were practicing their fluency and really digging into text so that they were able to read their favorites with voices that would entrance and capture the attention of their classmates. Students can select their favorite picture book or passage from a book and practice their fluency until they have all of the confidence of a kindergarten teacher singing the ABC song. Of course, students might need to see a few examples of awesome read-alouds, which is where you, oh amazing teacher come in. If reading aloud isn’t your thing, click on the article above and fill the brains of your students with excellent examples from one of the YouTube channels listed in the article. Once they feel like the read-aloud rockstar they are, choose one of the platforms listed below and let them get on with their bad selves. Imagine the listening library that your students will create for one another. Imagine the fluency practice they will be getting! And don’t think that this idea is just for little kids. Big kids like to read aloud too. They can choose picture books or pieces of their favorite novels. Just get them reading and sharing their voice with their peers! Flipgrid: Create an entire grid dedicated to read-alouds. Students can choose to sit in front of their devices and show the pages of their book as they read aloud, or you can rig up a stand where the camera points at the book only and the student narrates from behind the screen. Shockingly enough, some of our students are a little camera shy. Students can then visit the read-alouds of their classmates, leave feedback, or suggest new titles for their friends to read. I bet you will find there is a lot of natural voice-over talent in your classrooms. Seesaw: Students can add their read-alouds to their journal and their stories can be shared with families and other students in the classroom. Just like with Flipgrid, students can either hold their books in front of the camera or can hide behind the camera as they turn pages and bring their stories to life. Padlet: Padlet has a nifty tool that allows you to record a video directly into a Padlet post. You can create a shared Padlet and student can record right on the Padlet for their classmates to see. The only drawback to the Padlet is that videos can only be five minutes long. This might be a great option for those shorter, favorite passages from older readers. Screencastify: Using the free Screencastify chrome extension, students can record their read-aloud using their Chromebook camera and microphone. Once their video is recorded, students can then put their videos into a Google Slide presentation or upload directly to a class YouTube channel. If it were me, I would create shared Slides presentations that were themed by genre. Then I would put the links to the Slides presentation in Google Classroom, students could create their videos and add them to the correct presentation. My favorite part about this is that you will have have a library of read-alouds that you can use with future classes. I would love to hear your ideas about how you would get your students creating their own read-aloud. What tools would you use? How would you get them to interact with your new library? How will you motivate them to join in? Math and GSuite have not always gone hand-in-hand. If you wanted to create math-rich Docs or Slides, you were pretty limited in formatting options, and many teachers wound up relying on screenshots and snipping tools to create materials for students. But, rejoice, for now there is EquatIO! The EquatIO extension allows you to add real math language to Google Docs, Slides and Forms. Equations, graphs, formulas, etc are all easy to create and use with your students. Once you install the extension, you will have a new toolbar available in your GSuite products. With this toolbar, you can create expressions, formulas; all that crazy math stuff that I really don’t understand. Not only does EquatIO offer an easy to use equation editor that allows the teacher to either type or dictate mathematical sentences, it also has a nifty prediction tool that helps you add the correct math symbols in your work. If you are more of a talker than a typer, try the voice input option. When you speak your problem, EquatIO will create the sentence for you. If you want to allow students to talk through their problem solving, they can continue dictating their thinking and add additional lines to their math as they work towards the solution. EquatIO has paired with Desmos to offer an easy to use graphing tool. Another bell and whistle EquatIO offers is the ability to handwrite your math. If you are one of the lucky ones and have access to a tablet or touchscreen, you can handwrite all of your amazing math problems. Since the free student EquatIO accounts are limited to Google Docs, I can create all of this math in a doc and then assign it via Google Classroom with the “Make a Copy” option. My students will then be able to use the same tools as they solve my problems. Well, not my personal problems, just my math problems. Sometimes our math involves more than just numbers and letters and this is where EquatIO’s mathspace comes in. Instead of just adding equations and formulas to a Google Doc or Slide, EquatIO’s mathspace gives you a blank canvas where you can create the math (or chemistry or physics) problems of your dreams! When you go to equat.io, you will first land on your EquatIO dashboard. Once here, you can create a new mathspace or you can edit/work with an existing one. The mathspace canvas is amazing! In addition to the equation editor, you have a freehand draw tool and access to a variety of shapes, symbols and clip art. Different shapes and symbols available in the mathspace canvas. This space now becomes an interactive math problem. The teacher can create on the canvas and then share a link to the problem in Google Classroom with the “Make a Copy” option. As a user of a free account, your students will not be able to respond directly on the canvas you have shared, but they can open their own mathspace, construct their response and then turn in their work by adding a link in Classroom. I am not a math or science teacher, but these tools really excite me. The EquatIO extension and Equat.io mathspace create endless possibilities! To get your free educator account for EquatIO, click here! I love Google Classroom. I think it creates an easy way to manage workflow of assignments in the classroom, and if you supercharge your Google Classroom, you can create amazing learning opportunities that were previously impossible. The one thing I don’t love about Google Classroom is the calendar view located under the three bars on the left in Classroom. If you create an assignment with a due date, Classroom will helpfully create an event on the Classroom calendar. That is basically it. The teacher is unable to add any additional events to the calendar, which makes it frustrating if you want to add reminders, special events, or long range dates that are not tied to assignments. Here is a short (2 minute) video that shows how this process works. I think getting our students to start using their calendars could cause an organizational revolution. And, brother, I am there for that! This summer, I attended a conference and Joe Sanfelippo, the author of Hacking Leadership and The Power of Branding, was a keynote speaker. He passionately spoke with us about the idea that educators need to share what is happening in our classrooms with our families and the community at large. Joe wants us to build relationships while we flatten the walls of our school and broadcast student voices. A major point he hit on is that we need to share our stories to build relationships with our families because if we don’t show them what we are doing in our classrooms all day, families create their own truths. By using tools like Twitter, Facebook, and Instagram, we can reach our families and give them a peek into what is happening in our classrooms every day. I love his ideas and his passion, but I know that some teachers are hesitant to begin this journey because they feel that they don’t have time to be snapping pics and crafting posts for the interwebs to view. They are more focused on the teaching and learning that is going on in their classrooms and not necessarily on sharing all of the wonderful things that are happening within their walls. Would you be excited if I told you that there is a tool out there that allows you to inspire learning, engage your students, create amazing activities, give students opportunities to explain their thinking and share their voices, and communicate with parents all while saving teacher time? Well, there is a tool and that tool is called Seesaw! Seesaw is considered to be a digital portfolio and while it is definitely a place where students can collect and reflect on their learning, it is so much more than a digital portfolio. Seesaw gives students powerful creative tools to capture their learning but it doesn’t stop there. Once students have added materials to their online journal, those learning moments are then shared with their teachers and even more importantly, their families! Families can view their child’s work in the Seesaw app right from their phone, tablet or computer. And since families are already connected, the teacher can send out daily updates, announcements, cute pics of students at work, videos of happenings in the classroom and weekly newsletters. As a communication tool, Seesaw gives students an audience for their work. It gives families a window into what’s going on every day in their child’s classroom. It, as Joe Sanfelippo suggests we do, flattens the walls of your school and broadcast student voices. Teachers can quickly and easily share all of the amazing things that happen every day in their classroom with just a few clicks of a button. As a teaching and learning tool, Seesaw excels! The teacher can create activities for students to engage with. These activities can be varied, but the point of them is that it is an opportunity for students to “show what they know.” Seesaw gives students creation tools like a camera to create a video or still images, and drawing tools and text features so that they can explain a concept, write and reflect, capture an experiment or share their newfound knowledge. When you see Seesaw in action, you will know that it is going to be the tool that will be a game changer for you. I found this awesome video from fellow user, Suzanne Awrtey, that shows some quick ideas about using Seesaw with primary age children. If you don’t want to watch the entire video, check out clips at 2:44, 3:12, 4:10, 4:43 and 5:49. It might seem overwhelming for a teacher new to Seesaw to come up with activities for their students, but fear not for Seesaw now has a library with activities that are already created by fellow teachers. Browse through and select activities that match your grade level and subject, hit the “Share” button, and you are in business! Just look at some of the amazing activities I found! Once you begin using Seesaw in your classroom, you will find that Seesaw makes the paperwork beast easier to manage since you won’t be lugging papers back and forth every night. Instead, you can see and hear what your students are thinking and create new opportunities for learning based on their responses. The best part is that Seesaw works on all devices! It works in an environment where every student has a device just as well as in a room where you only have 1 or five devices. Students can still use Seesaw as part of a center activity or as a journal activity. You don’t have to be 1:1 to be able to implement Seesaw in your classroom. As you are reading about Seesaw, you might be worrying about who will be able to see the work of each student. Don’t worry because privacy is a big deal with Seesaw. By default, all student accounts are private to the classroom only and you decide when it is time to begin sharing student work. When you are ready, you invite parents to be a part of your Seesaw community, and once they join, they only have the ability to see the work of their own child or any announcements that you send to the class. And unlike other tech companies, Seesaw doesn’t collect or sell student and teacher data, nor do they claim ownership of any material you put into Seesaw. The takeaway from all of this is that Students are empowered when they use Seesaw. The creative tools allow for choice, collaboration, and sharing. During this process students reflect and apply critical thinking skills, and these insights are shared with important audiences. Who is Seesaw for? Every student from PreK to grade 12. And the best part? Seesaw is free for teachers and families! The free Seesaw account allows the teacher to have up to three Seesaw classes and 100 activities in use. Of course, if you fall in love with Seesaw, there are upgraded options that give you even more of the good stuff. To get started with Seesaw, go to seesaw.me and create a free account. Or, if you want to try out Seesaw Plus for 30 days, click on this link before you create your account. One of the awesome things about Seesaw is their PD program where you can be a self-directed learner by using their “Help” center. In fact, here is their “Get Started” guide. They also have an amazing PD in your PJs program to help you learn at your own pace. What are you waiting for? School is starting and your students are ready to share their voices! Make Seesaw a part of your classroom this year. It is almost time for summer break, where all teachers stop working and spend the summer working on their tans while they sip frosty beverages by the pool! HAHAHAHAHAHA….excuse me for a second. I think I might have just laughed so hard that I peed a little. This summer, like every summer, most of us are going to spend significant time on our teaching craft. Self-directed learning, grad classes, conferences, seminars, professional books, team plannings, curriculum overhauls; you name it, we are doing it. My district is hosting a Twitter challenge where teachers are encouraged to tweet about one new thing they are working on this summer. This new thing can be something for school or something personal. For example, my #onenewthing on a personal level is I am going to try running a mile…without dying. On a professional level, my #onenewthing is attending ISTE for the first time to hopefully learn more about using edtech to personalize learning. When you think about what you want your classroom to be like next year, what one new thing are you going to focus on this summer? Can I make some suggestions? If you haven’t yet embraced it, make learning how to use Google Classroom your #onenewthing. Google Classroom provides you with the ability to create a well-defined workflow for yourself and your students. Get yourself organized. Get your students organized. Make it the one-stop-shop for your students. Use it as a place where students can create, collaborate and share. One of my favorite ways to use Google Classroom is as a way to give timely feedback to students. 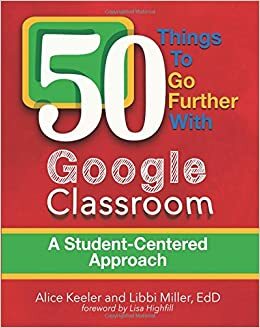 A great resource to help you get started is 50 Things You Can Do with Google Classroom by Alice Keeler and Libbi Miller. 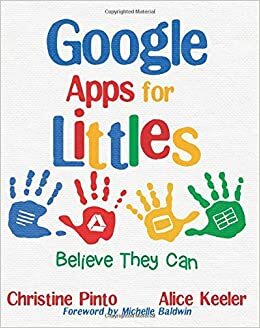 If you aren’t the book-buying type, check out the Google Classroom section of www.alickeeler.com or the Google Classroom section of the Shake Up Learning website. Have you been acting as the “sage on the stage” in your classroom? Does all information run through you and you direct access to content while controlling the pace with which students interact with said content and show mastery? Do your students all show mastery in the exact same way and either turn in identical answers on assessments or projects that are almost identical to each other? If you are ready to start giving students ownership of their learning and a choice in how they show what they know, then make your #onenewthing all about student empowerment and student agency through voice and choice in the classroom. 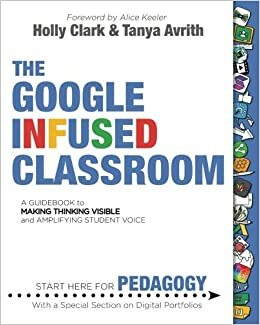 Sure, you can use Google Classroom to pass out and collect assignments and you can use other Google tools to provide lecture notes and guided learning opportunities, but if you become more innovative and embrace learning in a digitally rich environment, Google Classroom and other GSuite for Edu apps can have a profound impact on student learning. Instead of just having your students write a paper, why not give them a choice of tools to use to either create an infographic, a video, a presentation or any other way they might decide best allows them to show their learning? Perhaps your students will combine Google Draw and Screencastify to explain their mathematical thinking and create a visual of the problem they are solving. Or maybe your students will use Google tools to collaborate with other students in the next classroom, the next city or the next state. Are you ready to take that increased student engagement and amplified student voice and kick it up a notch? Are you ready to be a “guide on the side” and give students the ability to learn at their own pace and perhaps even in their own place? If so, then make HyperDocs your #onenewthing. HyperDocs are lesson designing for the 21st-century classroom because it removes the teacher from the front of the room and creates opportunities for the students to engage with content in a way that forces them to move from consumption to creation. The tenants of a HyperDoc require a student to engage, explore, explain, apply, share and reflect on their learning. Since the lesson is packaged in a digital format (which means that you can give students a choice in how they access content), it allows the teacher to remove themselves from the front of the room and assist students on an individual basis as they work through the HyperDoc. And since students are not bound by a traditional lecture session, they are able to work at their own pace, often in their own place, seeking out assistance as needed. 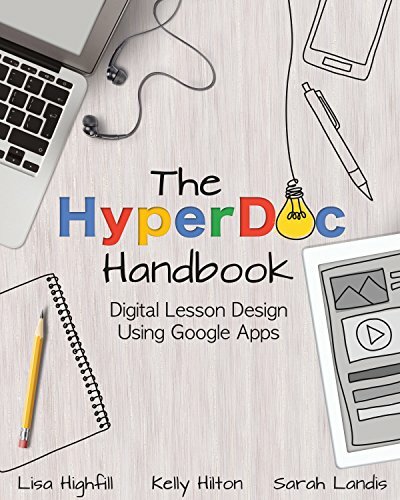 To learn more about HyperDocs, check out the official website, https://hyperdocs.co/ or explore the HyperDocs Facebook group to interact with other teachers on this HyperDoc journey. There is also an awesome book that will walk you through the philosophy and creation of Hyperdocs. We live in a Youtube world where people have become millionaires by sharing videos of the most mundane aspects of their lives. I cannot even count the number of times I have seen my kids watching videos of other kids play video games, playing with slime, unwrapping boxes or sharing their thoughts and beliefs about any random topic that pops into their minds. Our students want to be heard. They want to leave a footprint and they want to see what their peers are up to. Not only do kids want to see each other, but their parents want to be able to see what they are doing as well. That is why learning how to use social platforms like Flipgrid or Seesaw might be a great #onenewthing. Flipgrid bills itself as a place for students to go to share ideas and learn together. Give your students a prompt. Give your students a place to share. Allow them to be creative and express themselves as individuals. Spark discussion and find opportunities to share with other Flipgrid classes from around the globe! Or, keep your discussions personal and give students a chance to speak directly to you without other distractions. Check it out and I promise you won’t be disappointed. Seesaw is is a student-driven digital portfolio that empowers students to independently document what they are learning at school. The family of each student has the opportunity to connect with the Seesaw classroom to see videos, pictures, and the awesome work of their very own child. What Should Your One New Thing Be? I know that trying new things in the classroom can be daunting and intimidating, but never forget that your students are trying something new every single day at school. Spending the summer as a learner is an amazing way to connect with your students. If you try out any one of these new things, or any new thing for that matter, you are modeling risk-taking and growth mindset for your students. Be a learner! Be a risk taker! Try out just #onenewthing this summer that will help turn your fall classroom into a place where learners feel engaged and empowered. In the past, it seemed that most of my feedback was after-the-fact feedback. Students were already done with their work and the feedback I was giving was no longer meaningful. Since the students had already received a grade on their work they felt that they were done with the assignment and were not willing to dig back into it. The feedback would have been worthwhile if I could have offered it while the students were working, but short of cramming more writing conferences into my already packed class period, I struggled to give the feedback in a timely fashion. Fast forward to 2018 and a little tool (Google Classroom) and her useful friends (private comments, Screencastify and Google Keep). Feedback no longer has to be scribbled in the margins of student work with the hopes that students will read it and do something with it, I can now reach the students while they are working and guide them in their work even if I don’t have the opportunity to speak with them face to face. Providing students with digital feedback as they work creates more personalized learning for students. Private Comments: Google Classroom has a neat little feature where you can send private comments to individual students. To do this, simply open up the view of student work and click on the individual student. A private comment box will be below their work attachments. The student will get an email notifying them of the comment and when they click the blue reply button, they will be taken directly to the assignment. You can have an entire conversation with the student about their assignment via private comments. The important thing to remember with this is to create comments while the student is still working and not after they have already turned in the assignment. Once that assignment is turned in, the student counts it as done and any feedback you give will be wasted. With this in mind, it is a good idea to not give students a grade on their work until after they have attended to any feedback. Private Comments and Video Feedback: Sometimes you really want to dig into the work of a student and just leaving a few sentences is not enough. To do this, I like to use a program like Screencastify in conjunction with the private comment feature. When I want to give more detailed feedback, I open the student’s work, open Screencastify, record my screen and voice while I give feedback and then share the link to the video in the private comments. The student can then access the video and see/hear the feedback while they revisit their work. Once I have created the video, I simply grab the link to the video (which is now housed in my Drive in a folder called “Screencastify”) and place the link in the private comment section for the student. Google Keep, Screencastify and Private Comments: I am a huge fan of Google Keep and feel like it is the best-kept secret in the Googleverse. I have written a few blog posts about the awesomeness of Keep. Check them out here. If you find that you are giving the same feedback over and over, creating that feedback in Keep notes will help streamline your workflow. You can easily open up the Keep notepad in Docs, Slides and Drawings and copy and paste the feedback from the Keep note into a comment dialog to quickly give feedback. You can even include links to mini-lessons or videos to help the student understand the concept they are struggling with. An even fancier idea is to combine the Google Keep feedback with video feedback. By doing this, you are not only giving them solid and concrete visual feedback via Keep, you are also giving them verbal feedback. I don’t know about you, but it seems like students pay a lot more attention to what I say than to what I write. No matter how you slice it, Classroom makes it easier for you to give meaningful feedback to your students before they finish an assignment. I’m not going to lie and say that it will save you a ton of time. In fact, once you start using private comments, your email is going to blow up. One of my favorite edtech gurus, Alice Keeler, has written an excellent post on how to manage the private comment workflow and email explosion. Rather than try to recreate her awesomeness, here is the link to her original post: My Respond to Private Comments in Google Classroom Workflow. Her suggestions will help save a lot of headaches and keep you from just deleting your email app and heading for the hills. Inspire your students to revisit their work. Inspire your students to dig back in and make their work better. Do this by giving them meaningful feedback. Risk taking in education is nothing new. For centuries, teachers have been willing to push the envelope, leap over obstacles and climb any mountain in the name of reaching our learners and making school meaningful for all students. As educational technology has begun to change the landscape of our schools, some teachers have charged ahead and jumped in with both feet, but others are slowly testing the waters and learning how to work outside of their comfort zone. These teachers consider themselves to not be very techy and in many cases, would call themselves technophobes. These are the teachers I want to celebrate! They are taking risks, putting themselves out there, and doing things that scare them. And they are doing all of this because they want to engage and empower their students! Roxana, a long-time teacher at Lebanon High School, is one or two years away from retirement. Her course load this year is foods, careers and consumer economics. I especially love working with her on cooking days and have had more than my fair share of fudge when I go to visit her. Roxana first reached out to me because she wanted to get a better handle on managing her Google Drive, her email, and just general computer processes. During one of our work sessions, Roxana began to talk about how she really wanted to find a better way to engage her learners. She was looking for digital opportunities that would get students to participate in their own learning and would allow them to show what they know throughout the learning experience, not just at the very end. Roxana also wanted her students to have access to course information from anywhere so that they could review concepts whenever they needed, not just during the time they were in the four walls of her classroom. After looking at the many different edtech tools available, Roxana settled on Edpuzzle and Quizlet. When I worked with Roxana, she told me about video content that she shares with her students. This video content is really well done and has fantastic and applicable information, but she knows that when she shows the videos in class, the students tend to tune out and not really internalize or engage with the information. When she discovered Edpuzzle, she immediately felt that this tool could be a game changer for her. With a little bit of practice and a lot of patience, Roxana learned how to use the voice over and quiz features in the program. She now feels that her students are much more engaged with the content since they know that there will be checks for understanding scattered throughout the videos. The feature that allows students to rewatch video portions over again until they understand the concept is an especially powerful learning tool. In addition, students that were absent in class (or students that just need a little review) can access the videos from their personal devices at any time of the day or night. Roxana’s use of Quizlet is really exciting. Students are taking concepts covered in class and creating their own flashcards. Once they have created their own, they crowdsource them and share them with the entire class. As a group, they go over the flashcards and pick the ones that they feel best illustrates and defines the concept. Then, using the quiz and game features in Quizlet, the students play games and take quizzes over the concepts. Since the students have to create the flashcards and identify which cards best illustrate a concept, they are taking ownership of the material taught in class. It is no longer Roxana handing them the answers and hoping they take the time to learn it. They are engaging and creating, which is the fastest path to understanding. I am so proud of the work that Roxana is doing and how she is pushing herself. When I say that Roxana is not a techy teacher, I am not exaggerating by any stretch of the imagination. It takes a lot of hard work and patience for her to figure out how to use these programs, but she is sticking with it because she wants ways to have her students engage more authentically with the material she is presenting in class. And for somebody who is nearing the end of their career to jump in with both feet and take these kinds of risks, I think she is amazing!